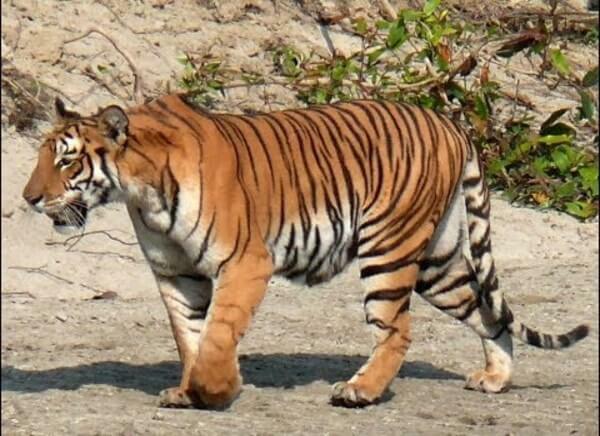 Wildlife of both the countries, India and Nepal, is richer than imagined. 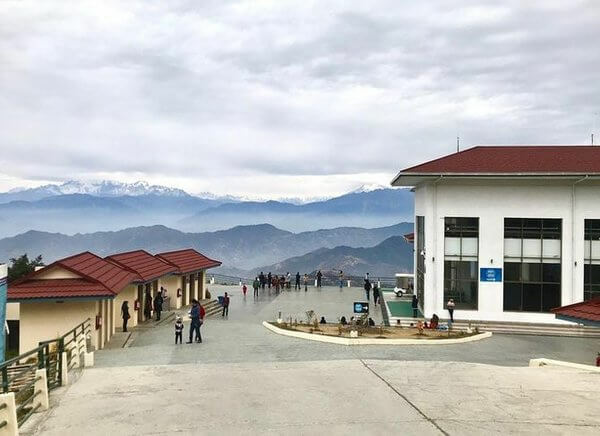 With extensive flora and fauna, both India and Nepal holds a significant place in the touring circles due to this fact. This particular itinerary places you amidst lush green mighty Himalayas while interacting with magnificent wildlife. Both the countries, India and Nepal are an excellent source of enjoying the rich wildlife. On the arrival, you are bestowed with a warm welcome and thereafter transferred to the hotel for a comfortable and hassle free stay. This is the day when we make sure that you get ample of rest and your journey begins conveniently. Overnight stay at the hotel is planned. In the early morning hours, we move towards the captivating Corbett National Park. We make sure that you get a relaxed entry there as you check into the resort. In the afternoon hours, we take you to stroll inside the park. Overnight stay at the resort is planned. This is the day when we explore the vicinities of Corbett National Park. This is done in the morning and afternoon hours. The fascinating part of the story is the safari inside the park. Overnight at the resort is planned. Get ready to enjoy the beautiful Corbett that is full of amazing sights. In the morning and afternoon hours, we get an opportunity to explore the park. Overnight stay at the resort remains on our charts. In the morning, we plan to move from Mahendra Nagar, the border between India and Nepal to our next destination. Driving to the Royal Suklaphanta National Park and checking into the Camp will remain on charts. There is ample of leisure, which remains on charts. At the end of the day, we take time for leisure. Overnight at Camp will be planned. Get ready to explore the lush green environs with some fascinating sightseeing. This is the time when we step inside the jungle and there is no dearth of activities. In the early morning hours, we take you to the Royal Bardia National Park. As you arrive there, we make sure that you get the comfortable stay at the lodge. In the afternoon we make sure that you get access to safari. Overnight stay at the resort/lodge is planned. Bardia is famous for its safaris amidst lush green environs. You can therefore enjoy mornings and afternoons in the park. Overnight stay at the resort/lodge is planned. This day is also reserved for viewing the games. You are always welcome to enjoy every step. In fact, this is where Bardia becomes the most sought after. Overnight stay at the resort/lodge is planned. In the early hours of morning, we drive to Chitwan thus making sure that you get the best travel opportunity. On the arrival, we make sure that you check into the hotel/resort for a comfortable and hassle free accommodation. Overnight comfortable stay is planned at the hotel/resort. Chitwan is a place where you can enjoy game viewings. This is where you get enthralled with exciting games in mornings and afternoons particularly. Overnight comfortable stay at the resort/lodge remains on charts. In the early morning hours till late afternoon, we enjoy safaris, a fascinating extravaganza. This is kept in mind and we enjoy our tour plan that makes your travel richer than imagined. Overnight stay at the resort/lodge is planned. On this day, the tour involves game watching along with other exciting sightseeings. The most sought after feature is the safari in the Park that remains on the charts. During the later hours, we move towards the Pokhara and check into the hotel. 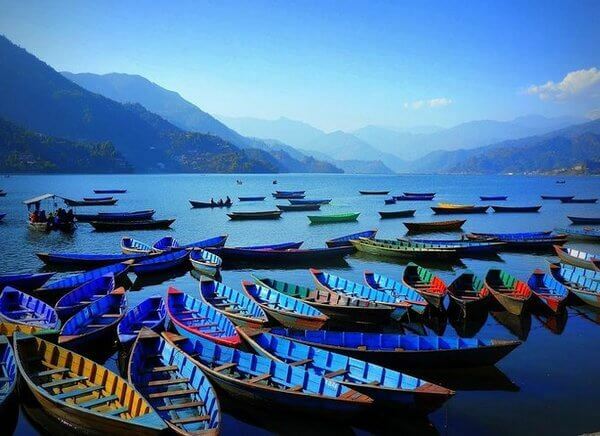 Pokhara city also remains on our charts. We make you enjoy boat ride in the evening. Overnight stay at the hotel remains on the charts thereafter. In the early morning hours, we move towards Kathmandu. We take you to the pre-booked hotel where you get relaxed and prepared for another journey. 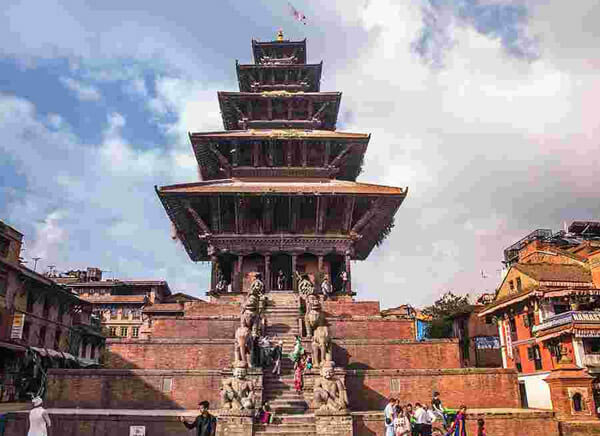 In the later hours, you also get a chance to go on a half-day tour of Kathmandu City. 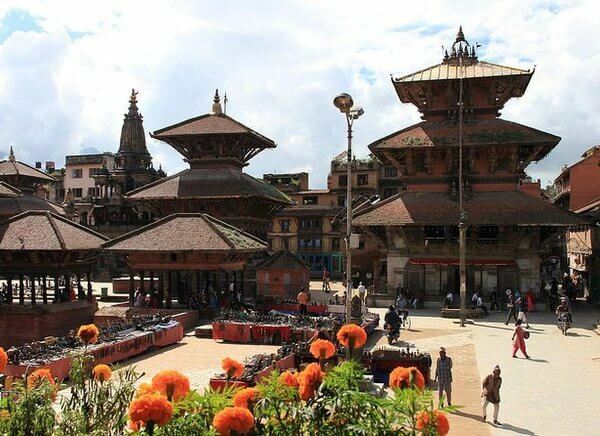 Many visits are planned for visiting the famous Pashupatinath and Boudhanath. Overnight stay at the hotel remains on our traveling charts. The city of Kathmandu is great in every aspect. You get an opportunity to fly from Kathmandu to Delhi in the early morning hours. The day is kept for relaxing. The transfer to the airport remains on our charts before we finally end the tour. This is the final day of our tour and we make sure that even on this day you get the best out of the tour. This day is reserved for transferring you to the airport to commence with your return. The tour ends but not the sweet memories cherished with us at Travelogy India.